This article appeared in The Intercept on March 29, 2017. M. AND HER former partner met in 2004 at the frozen food factory where they both worked in Los Angeles. Like M., he was an undocumented immigrant from Mexico. When they started going out, he was generous. M. had a son from a prior relationship, and her partner would bring food to her house, as if he cared for both of them. In retrospect, M. recalls, it seemed like an act. The couple went on to have two sons of their own, but the knowledge that M.’s oldest son was the child of another man threw her partner into fits of enraged jealously. He would come home drunk and beat M. and her oldest son, occasionally hurting the younger children as well. M. (who asked that her name be withheld for her safety) called the police over and over again. Her partner was arrested several times. One day in 2013, when M.’s partner was jailed after an abusive incident, the godmother of one of her sons referred her to a local domestic violence shelter. A staff member at the shelter suggested she petition for a U Visa. The U nonimmigrant visa was created in 2000 to protect noncitizen crime victims who agree to cooperate in the investigation or prosecution of the crimes perpetrated against them — including domestic violence. Abusive partners whose victims are undocumented often exploit their inability to legally work to control them financially or enforce obedience by threatening to betray them to Immigration and Customs Enforcement. U visas, 10,000 of which are issued per year, take an instrument of control away from the perpetrators of domestic violence. They give noncitizen victims the authorization to work, so they can move out of the house and take their children with them. And they provide legal residency, so people like M. can collaborate with law enforcement to bring charges against their abusers without fearing that police will turn them over to immigration agents. “For me, the U visa is something beautiful in my life,” M. told me. Without it, she said, and with Donald Trump in the White House, she would have been afraid to drive anywhere, lest she make a mistake and get pulled over, deported, separated from her children, and returned to a country where her former abuser could find her. The U visa is a provision of the reauthorized version of the 1994 Violence Against Women Act, the law that made domestic battery a federal crime. It expanded on the protections offered by an earlier VAWA provision that allows undocumented immigrants who are victims of spousal abuse at the hands of U.S. citizens or lawful permanent residents to “self-petition” for protected immigration status without informing their abusers, who might otherwise retaliate violently. When VAWA was reauthorized in 2013, congressional Republicans tried to strip undocumented immigrants of this confidentiality provision. They failed, and the VAWA self-petition, along with the U visa, survived intact. But now, given a Congress controlled by a party fixated on cutting government spending and a president famous for his animus toward immigrants, noncitizen survivors of domestic violence may again find themselves in the crosshairs of politicians intent on weakening their protections under the law. Though Trump routinely invokes public safety as his justification for mass deportation, the immigration policies he has begun putting in place instead threaten to protect the perpetrators of violence by making their victims less likely to come forward and report them to the police. The day before President Trump’s inauguration, The Hill published an article claiming the incoming administration was planning to pursue “dramatic cuts” to government spending based on a “blueprint” budget drafted last year by the Heritage Foundation. The blueprint called for the elimination of all VAWA funding grants, sending immigration attorneys and advocates for domestic violence survivors into a panic. On March 16, the administration’s “skinny budget” — a preliminary, top-line version of the proposed budget — was released. The document is vague; it makes no specific mention of most of the services undocumented domestic violence survivors depend on, though it does propose to eliminate the Legal Services Corporation, which provides legal aid to domestic abuse victims who are married to U.S. citizens or lawful permanent residents. For other services, victims and their advocates will have to wait to see what’s proposed in the full budget. But even if programs authorized under VAWA and related legislation manage to survive these cuts, the Trump administration has the power to drastically weaken the protections they provide immigrant victims without congressional action. In February, Department of Homeland Security Secretary John Kelly issued a memorandum outlining who ICE considered to be its priority targets for deportation under the new regime. The breadth of the new focus was sweeping. Kelly proclaimed that, with the exception of immigrants who came to the U.S. as children and undocumented parents of U.S. citizens and lawful permanent residents, ICE “no longer will exempt classes or categories of aliens from potential enforcement.” Among those hitherto exempted classes or categories are domestic violence victims. The message of the new memo couldn’t have been clearer: If you’re undocumented and you felt relatively safe under the rules prior to Trump, you are no longer protected. ICE officers and attorneys today are under no obligation to extend any sympathy to crime victims when deciding whether to deport them. Their discretion has been eliminated in favor of prioritizing nearly everyone without legal status for deportation. The Kelly memo has potentially major implications for U visa applicants, though the specifics remain unclear. The application process for the U visa was crafted to accommodate the precarious circumstances of undocumented domestic battery victims, who are often coerced by their abusers into criminal activity and are frequently arrested and charged themselves when they fight back in self-defense. In recognition of this, applicants can apply for waivers for a broad range of factors that would be disqualifying under other kinds of visas, such as convictions for nonviolent crimes or prior removal orders. The Kelly memo, however, specifically cites many of those same factors as the chief criteria by which ICE agents should prioritize cases for arrest and removal, and prohibits ICE lawyers from making exceptions to the rule. Because of the situations victims of domestic violence are often forced into, they could end up among ICE’s biggest targets for removal. 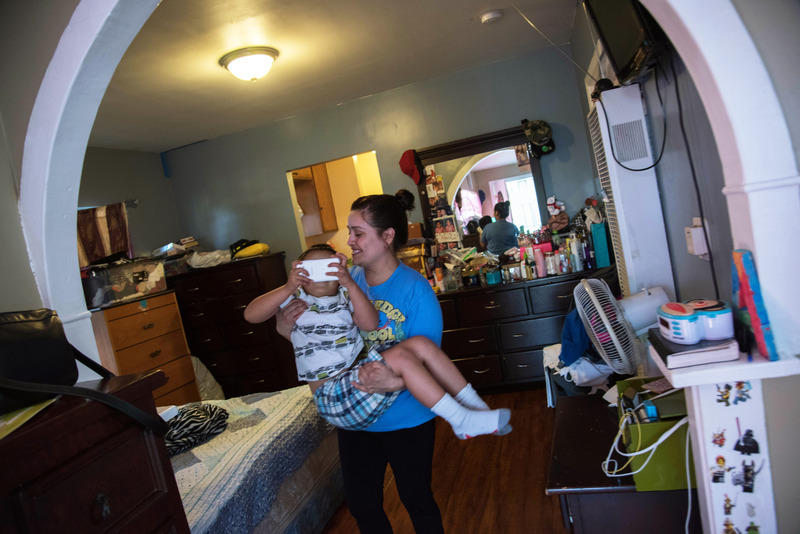 So far, ICE does not seem to be deporting immigrants whose U visa applications are in process, Jessica Farb, directing attorney at the Immigration Center for Women and Children, told me. 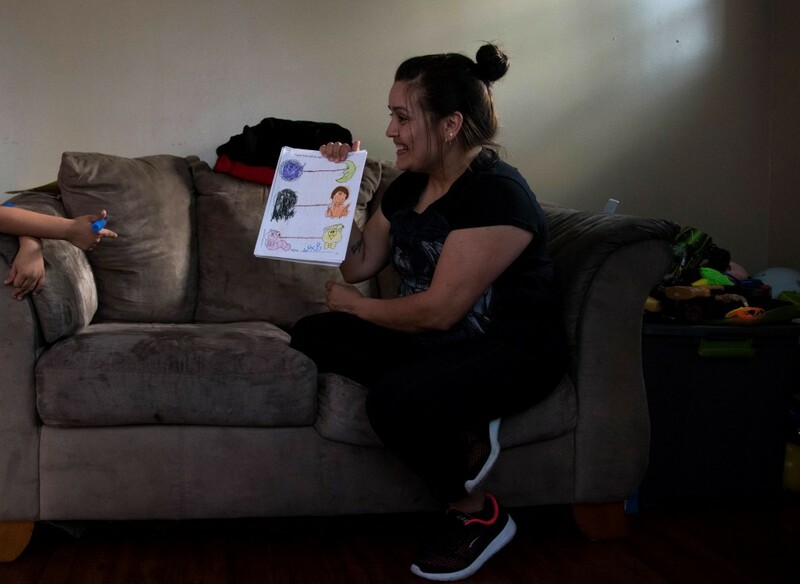 She has heard about cases in New York and Chicago where providing a receipt for a U visa or VAWA self-petition application was enough to prevent deportation. “We always counsel applicants to carry their paperwork with them,” said Layli Miller-Muro, founder and executive director of the Tahirih Justice Center, which provides services to immigrants fleeing gender-based violence. But the protection the paperwork provides is not guaranteed to last. There is also reason for undocumented immigrants to question the privacy that is built in to the application process for U visas. When applicants petition for a U visa, the information they provide to U.S. Citizenship and Immigration Services, another branch of DHS, is kept confidential by statute. What happens to that data after the process concludes, however, is not formally established policy. If rejected applications were handed over to ICE, of course, undocumented domestic violence victims would have real reason to fear applying for protection. “A change in the process would have an immediate chilling effect on the filing of victim-based immigration petitions,” Marzouk noted. In the absence of clarity, the decision to come forward and apply for protected status becomes more complicated. 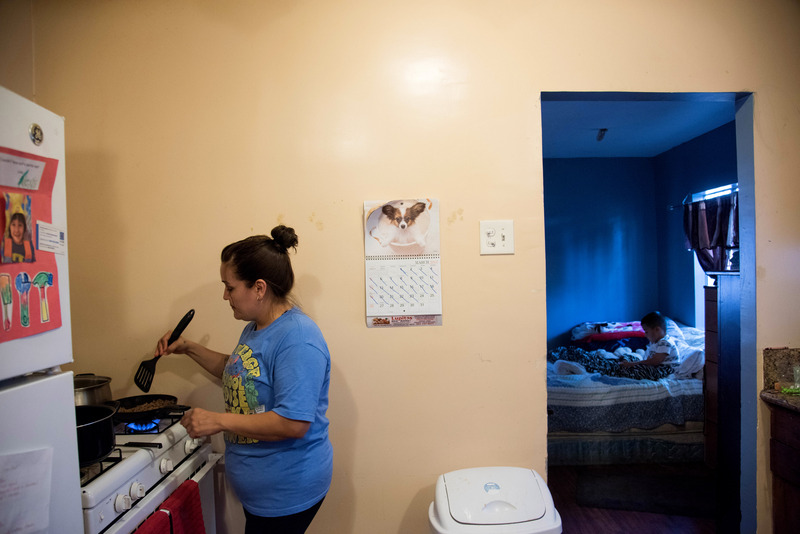 Now, instead of simply pursuing the legal protections available to them, undocumented victims of domestic violence have to weigh the benefits of being shielded from abusive partners against the theoretical hazards of popping up on ICE’s radar. When children are involved, the potential cost of being exposed to ICE is not just deportation, but also being forced to leave one’s children alone in the custody of a violent parent. This dilemma is exactly what provisions like the U visa waivers and VAWA’s confidential self-petition process were designed to avoid. These doubts and concerns are compounded by another provision of the Kelly memo calling for an expansion of the 287(g) program, which deputizes local police officers as federal immigration agents, undermining undocumented immigrants’ trust in local law enforcement. The 287(g) program “has a ripple effect on U visas,” Miller-Muro said. The U visa is predicated on the idea of undocumented crime victims collaborating with the police, as M. did. But under the Trump administration, “there’s a general disregard of the value of police being able to work with immigrants,” Miller-Muro explained. 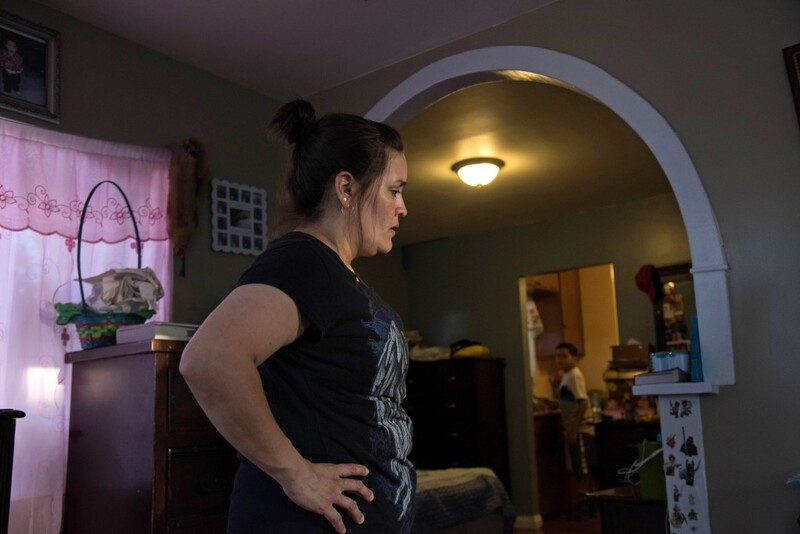 If an immigrant seeking protection from the threat of domestic violence is reluctant even to call 911 for fear of deportation, it is unlikely they will take the step of applying for a U visa or self-petitioning under VAWA. U visas require that members of law enforcement certify that the applicant is cooperating in an investigation; to the extent that local police are regarded as adjuncts of ICE, that cooperation is less likely to be forthcoming. “It undermines the value of U visas and creates a chilling effect on immigrants’ willingness to come forward,” Miller-Muro said. In the months and years to come, as the Trump administration expands ICE’s capacity and puts political pressure on sanctuary cities — and in the not unlikely event that Congress slashes funding for VAWA programs — the situation for undocumented victims of domestic violence is likely to grow even worse.